Oilless Vacuum Pumps – Vacuubrand, Inc.
Oilless pumps are used in contexts in which accidental exposure to oil could damage products or endanger people. Medical vacuum pumps are often oilless to minimize patient and instrument exposure to oil. In the fabrication of hi-tech electronics, oilless pumps may also be necessary to avoid contaminating sensitive instruments with small amounts of oil. 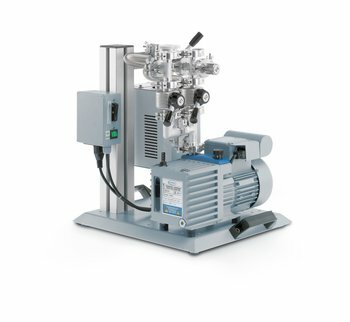 In industrial contexts, vacuum pumps are used for dry etching, solvent recovery, material handling, distilling, petrochemical processing, food manufacturing, finishing and many other processes. Oil-less dry pumps are generally less expensive than wet pumps because of lower initial investment and ongoing maintenance costs. The cost of a dry vacuum pump failure can also be less than that of a wet pump failure, because oil or other liquid contamination of a vacuum enclosure can often be very damaging. However, oil allows for tighter seals between parts, which increases evacuation capacity. Because a dry vacuum pump cannot be sealed as well as an oil-sealed pump, their vacuum generation capacity is lower. Dry vacuum pumps were developed in response to concerns about the threat that vacuum pump oil posed to people and the environment; historically vacuum pump oils have contained polychlorinated biphenyls, which have since been discovered to be toxic and carcinogenic. Dry vacuum pumps avoid this problem and address concerns about pump reliability and maintenance. Dry pumps eliminate the need for contaminant disposal, which can be expensive. Because they do not require oil or fluid checks, maintenance costs are low. Oilless vacuums vary in design but are often made of heavy-duty stainless steel because of the material’s strength and resistance to contamination. Depending on the work environment and requirements, dry pumps can be equipped with vibration isolators and silencers. Some designs feature a cooling water jacket to counteract the high internal temperatures that result from the lack of an oil sealant. Every oilless vacuum pump is a positive displacement pump, and each pump fits into one of three subcategories: rotary lobe, helical screw and claw. Each design uses two gear-synchronized rotors to trap and compress entering gases. Rotary lobe vacuum pumps are similar to rotary vane pumps; two rolling rotors separate the chamber, compressing the gas and conveying it out. Helical screw pumps use two screw-like rotors whose threads fit together; gas becomes trapped between the flights of the screws, moved axially and is then discharged. Claw dry vacuum pumps use two claw-shaped rotors to compress the gas. Oilless Vacuum Pumps Oilless vacuum pumps are devices that create vacuums in enclosed spaces without the use of oil for lubrication, as a sealant or for any other purpose. Many varieties of oilless pumps are dry vacuum pumps, but some are not. Liquid ring pumps, for example, may make no use of oil, but they are not completely dry systems.